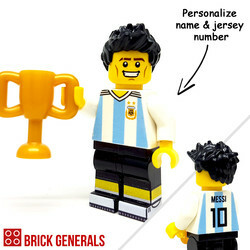 Please add to cart separately if you require, for example, 2 pieces with different custom content. Brazil will be on the lookout to win the World Cup for the record 6th time. 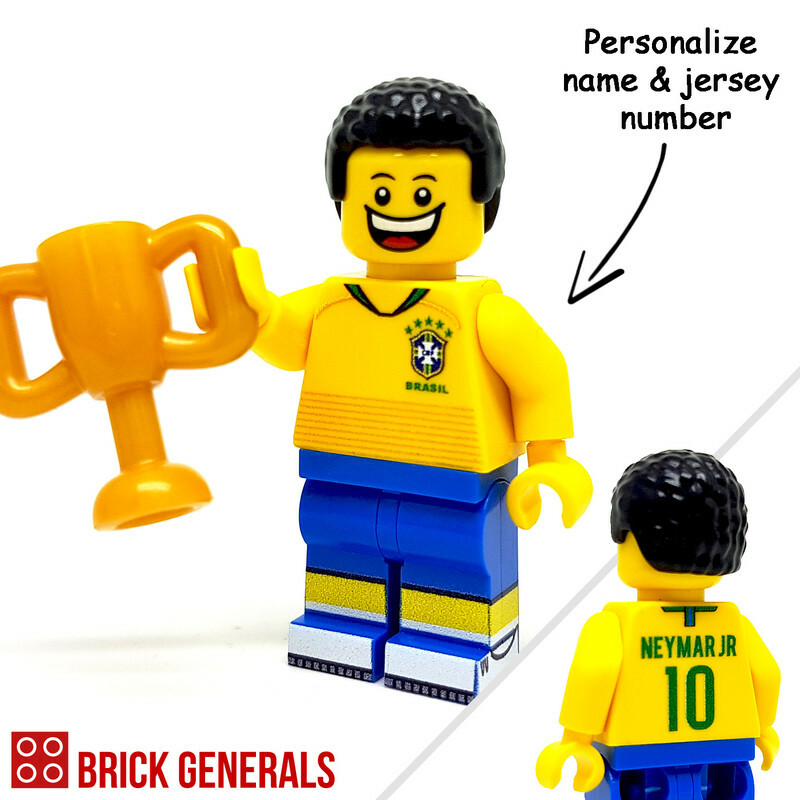 Always popular with fans, it's samba time! 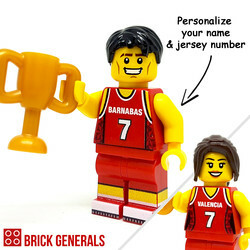 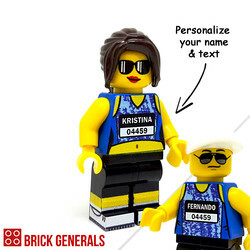 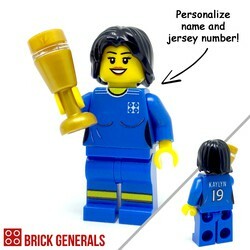 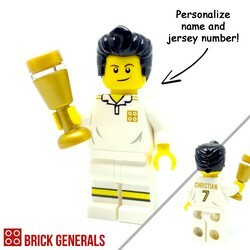 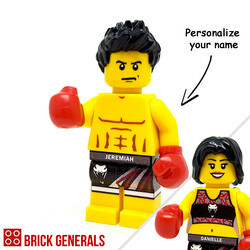 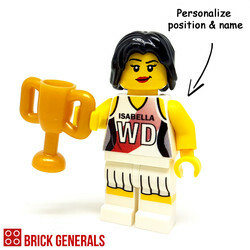 Personalize your name and jersey number! 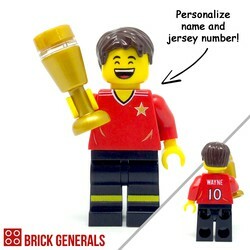 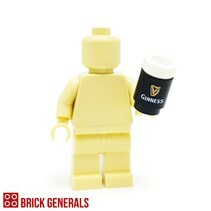 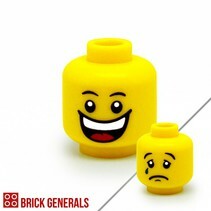 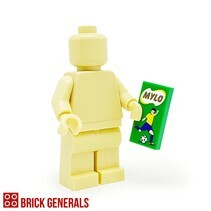 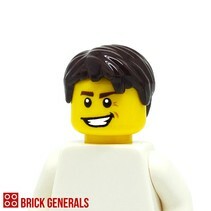 LEGO® is a trademark of the LEGO Group of companies which does not sponsor, authorize or endorse this site nor any of the customised/modified products. 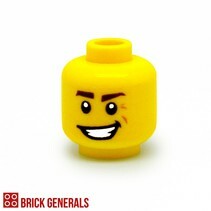 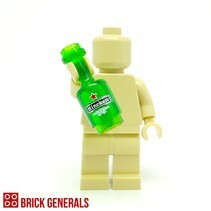 All products in this website are not LEGO® products. 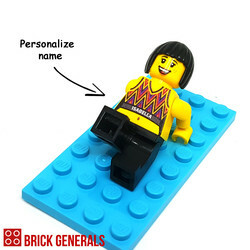 The products utilize LEGO® elements that have been repackaged or altered from their original form together with other third-party elements. 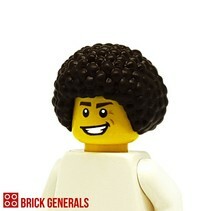 This is not a LEGO® service.